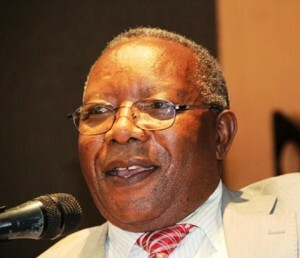 Information and Broadcasting Minister Mwansa Kapeya says President Michael Sata needs loyal and disciplined Ministers for him to achieve his vision to develop Zambia. Kapeya who was reacting to the recent developments in the PF government where Geoffrey Bwalya Mwamba resigned as Defence Minister after differing with President Sata over the Chitimukulu issue, said loyalty was cardinal. He said even Jesus Christ had a royal team of disciples who helped him carry out his mission. And Kapeya says President Sata’s vision to develop rural Zambia is unprecedented. He said Sata has the heart for the majority people of Zambia living in the rural areas hence his move to deliver development. The Information Minister who was speaking in the rural Western province urged the people in that part of Zambia to rally behind President Sata so that he can uplift their lives. He said there is no president since independence who has developed the rural Zambia than Michael Sata. Dats da problem of having a comedian as a minister! They always want to tell jokes even when things are serious!!!!! Hi is not comedian, he is a one of the clowns in a circus!!! Kapeya thinks everything is about ifyabukaya were he used to entertain kidz. Mwansa Kapeya has proved that he is NOT a seasoned politician. He ventured into politics to earn money for his belly and Not to serve his electorates in Mpika. He is a disgrace to the Bisas. His mouthings are about sustaining his position in PF Govt as he awaits for his MPs’ gratuity. Events that are mushrooming like fire in Northern Province will soon shock Sata’s boot-lickers.